How To Use Artificial Intelligence To Generate Sales Leads? For years, marketers and sales professionals have been using lead generation to boost their sales. 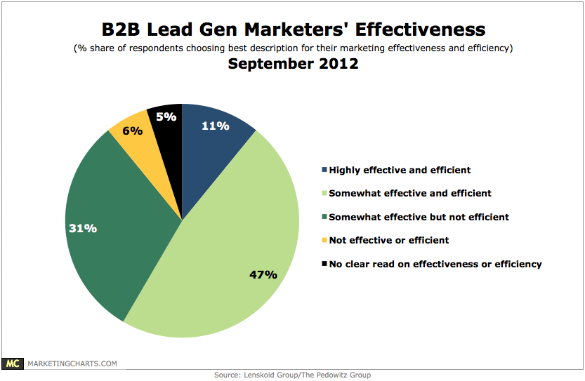 Yet, till this day only 1 in 10 B2B lead generation marketers say they’re highly efficient and effective. Where is another percentage of professionals going wrong? Many marketers have a penchant of thinking of thinking that lead generation is easy. They read a couple of blogs articles on lead generation and start without thinking of the troubles they might come across. Apart from this, some marketers say that the lack of funding and resources is the reason behind their lead generation failure. And does the future of the lead generation process seem just as bleak? The actual problem is that science is making its presence known in every field. The lead generation process is changing, unfortunately, the same cannot be said about the marketers. They refuse to automate their follow-up strategy hence it fails to make an impact. Their landing page is subpar. They are writing the content but it is not useful. They fail to embrace artificial intelligence. Lack of social media utilization. These are just some of the problems. So, what is the future of the lead generation process? How will the professionals align themselves with the changing scenario? Artificial Intelligence automates the whole process of lead generation to a very large extent. Therefore, it is suggested that marketers embrace technology. And quickly! It is easy to understand that AI is going to rule the process of Lead Generation within the next 1 or 2 years. And not just in the future, even at present, Artificial Intelligence is taking over every aspect of lead generation – from chatbots to automated customer service – nothing is untouched by it anymore. At present too, it is responsible to dig out more potential leads than our other marketing methods. 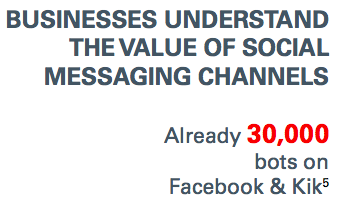 You would be surprised to know that there are 30,000 bots living on Facebook Messenger and Kik. It’s a given that artificial intelligence is bearing results that’s why people are willing to use it. So, don’t wait anymore and be a part of the future of the lead generation process. By now you know that Artificial Intelligence is the future of the lead generation process. 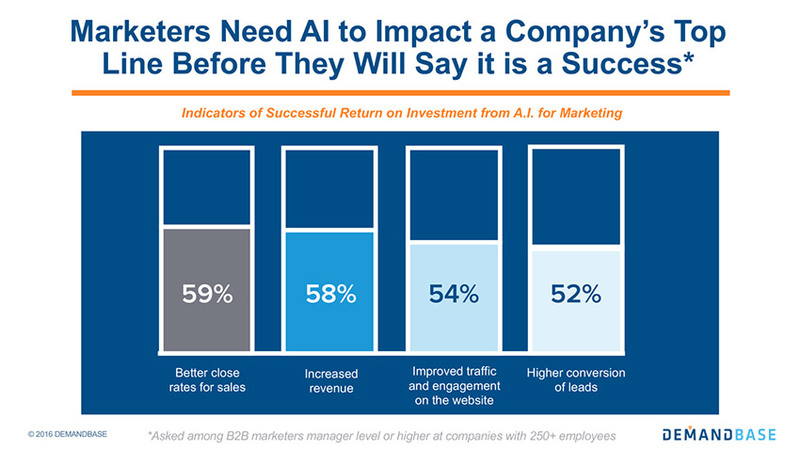 But how will you incorporate Artificial intelligence in your lead generation strategy? Let’s face it people don’t make the final purchase immediately after visiting your website. They are likely to need a lot of nurturing before they feel comfortable enough to close the final deal. Lead nurturing entails engaging the leads, offering them freebies like discount coupons, follow-up and more. Wouldn’t it be wonderful if a huge part of lead nurturing could be done automatically? Well, it isn’t a dream anymore. Automation in lead nurturing is one of the most obvious changes in the future of the lead generation. In fact, its effects have started to make its presence known even now. Even leads are fine with the changes in the lead generation process. According to research, 59% of Americans are willing to receive coupons or special offers through a chatbot. The same survey tells that the average retention with the bots after just one month of use was 40-60%. Not just this, using Artificial Intelligence the companies can help businesses track their sales funnel progress using automated tools. It is something that humans by themselves cannot achieve. Once you track all the current leads, you can use artificial bots to send them the best offers they need at the correct time which is extremely important to keep a hold on them. We all know how tedious cold-calling is. Researchers find that the longer you spend on the call with your prospect, the better your conversion chances will be. And nothing less than 5.50 minutes will do! And remember that you have to talk to a lot of leads daily. Yes, we get it! Who can bear to talk to strangers on the phone for hours and hours long? That too daily without any guaranteed results. This is where automated chatbots come into play. Without a doubt, they are an indispensable future of the lead generation process. Just imagine, it’s like having your own personal minion. Chatbots can make the life of many businesses and sales reps extremely easy. The best part is that they can have conversations with many persons at the same time. They offer all the information and answers to frequently asked questions so that your prospects don’t have to wait for a salesperson to come and answer their queries. They make your job as well as your prospects’ job easy. It goes without saying that anything automated will be faster than humans. The same goes for customer support. Also, for years businesses have been struggling with their customer support. Having a call-center is steadily becoming outdated now that the future of the lead generation process has much more to offer. For one, having a full-fledged call-center takes up a considerable amount of budget. Secondly, customers are fed up of placing multiple phone calls to get their message through. The future of the lead generation process might change this – it’s actually in the process of completely changing this. 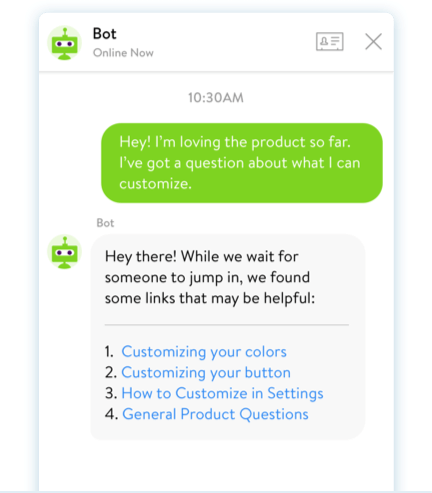 Automated chatbots can help your customers even when you are not physically available. Your customer actually prefers chat to talk on the phone. Also, a faster solution to your client’s problem will extensively help you in being favored by all and also to gain the trust of your present customers thereby, making your relationship with them last longer. Lead generation is also done through the use of many next-gen technological tools which deliver unimaginable results and help you locate, nurture and convert potential leads into paying customers. A few tools to note which are shaping the way towards a better lead generation future include AeroLeads, HubSpot and many others. AeroLeads is a next-gen and extremely intelligent data mining tool using which you can generate the best prospects or leads for your business in Google, Yahoo local, LinkedIn, CrunchBase etc. To use this modern age tool, you first need to add the AeroLeads extension to your Google Chrome after which you can take pleasure in its fabulous prospect generation service. The software has been developed in order to give you a real-time processed list of all the best leads for your firm. The best part is that AeroLeads will curate the list according to the requirements which you need to provide. Verified emails, title, phones numbers, company names and other details of your prospects are provided by AeroLeads. It delivers you with a list of all the best leads as early as within 24-48 hours of you filling in the requirements form. Pamper yourself with the most perfect and affordable plans. 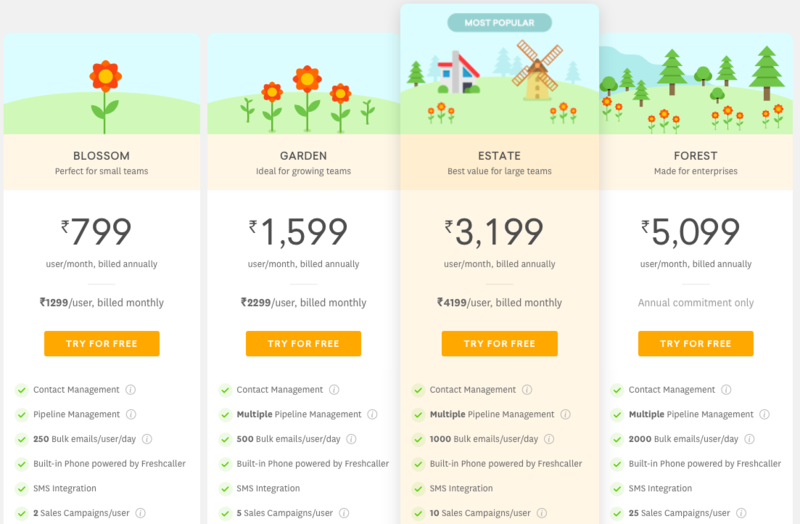 Get everything that you are looking for with its unique Customizable Plans also at the best price. Gets easily integrated with Salesforce, Zapier, HubSpot, MailChimp, Pipedrive, Insightly to deliver the best performance. AeroLeads maintains a huge database with millions of potential leads to help you find the top ones. Some of its notable clients include IBM, Jubilant Foodworks, Caliber consulting. Pricing – AeroLeads offers four package options. The paid packages start from $ 49 per month up to $499 per month. The fourth package is actually a customizable package. It can be personalized as per the preference of an individual or a business. They also offer a trial package. HubSpot fits the bill if you are looking for an automatic tool that helps in marketing, sales, lead generation as well as customer service. They make sure that your customer and you both are happy at the same time. Marketing Hub helps the users in their lead generation endeavors, along with increasing their conversion rate as well as their traction. It also allows users to keep track of their marketing progress. On the other hand, Sales Hub allows users to get deeper insights into prospects, automate the tasks you hate and close more deals faster. 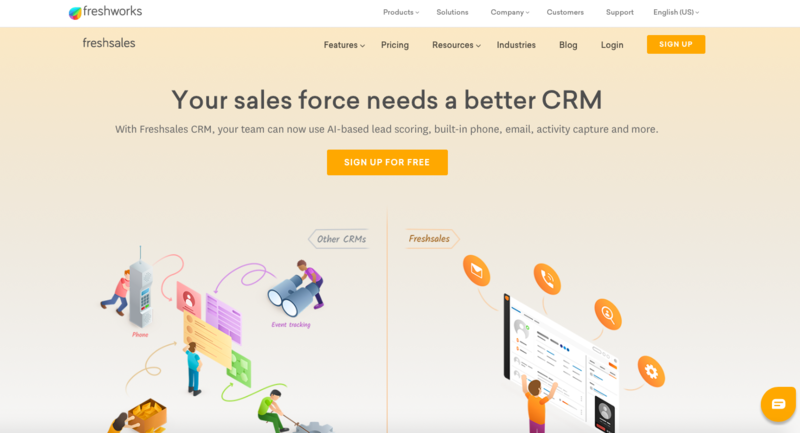 HubSpot’s Service Hub increases customer engagement, automated the customer service process and turn them into promoters that grow your business. Pricing – Their starter package starts at $50 per month and the biggest paid package goes up to $1200 per month. They also offer freemium packages for each of their tools. It is a customizable and automated CRM tool that helps you keep updates with the future of the lead generation process. It automates your sales and marketing, integrates with several business apps and tracks all lead generation data in one place. Account management – It manages your account in such a way that you immediately get to know the possibilities of sale to your leads. You can see all types of conversations—phone, email and chat with related contacts. This can be used to personalize and keep track of your cross-sell and upsell efforts. Website and in-app tracking – Using this automated lead generation tool you can keep track of your visitors and see what they are doing on your website or your app. Use this information in your follow-up strategy as well as in your lead nurturing strategy. Workflows – It is used to automatically send emails, follow-up messages, updating lead data and more. This feature helps the Sales reps to better organize their time and activities using automation. Integrations – You can connect your business apps directly with the CRM. It can be used to organize customer information and streamline your business and sales. They also offer a 30-day free trial. In addition to the above 3, there are many other tools that use machine learning and artificial intelligence to make lead generation an easier and faster process in the future. Lead Generation as a sales process has been under constant change with every passing day. Artificial intelligence and automated tools are the ultimate future. Using the above method and implementing them smartly can help you increase the profit of your business in a way you could never have imagined before. So, are you ready for the change in the future of the lead generation process?